Feature rich, high-quality, and affordable, Foxtrot Mike Products offer cutting edge solutions utilizing the highest quality materials and manufacturing processes available. 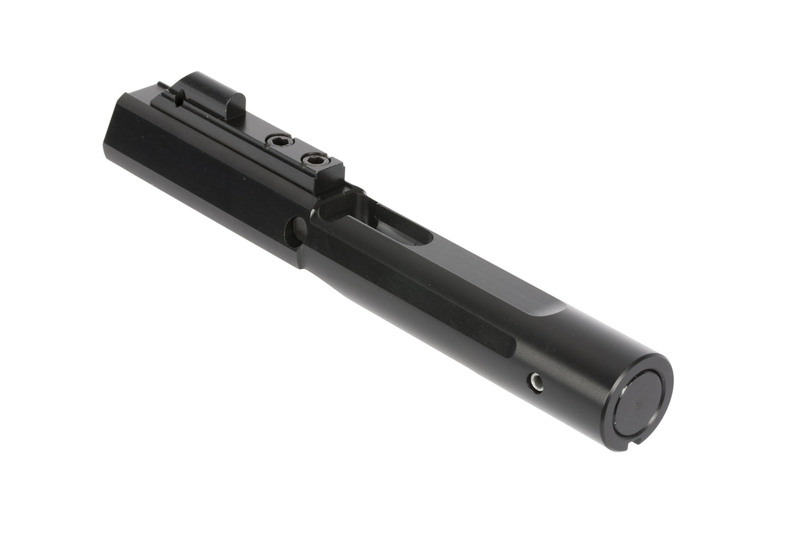 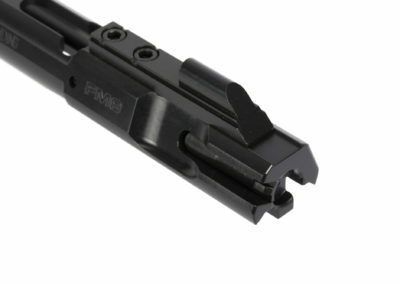 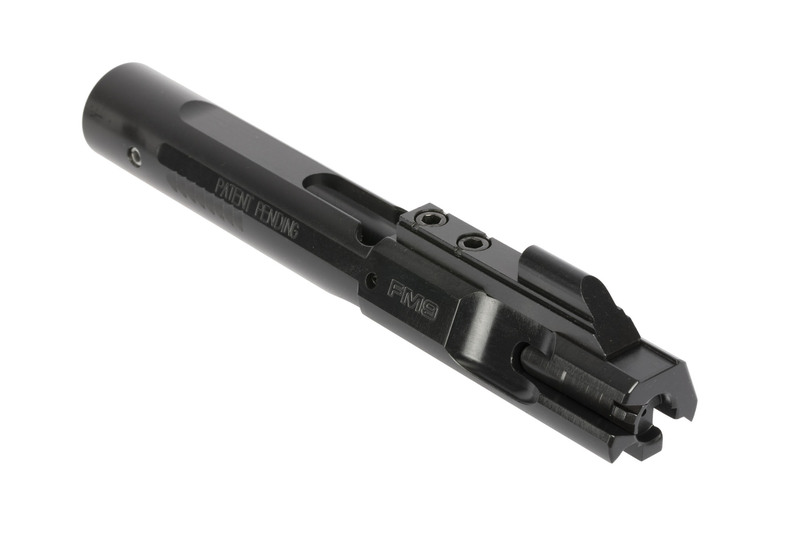 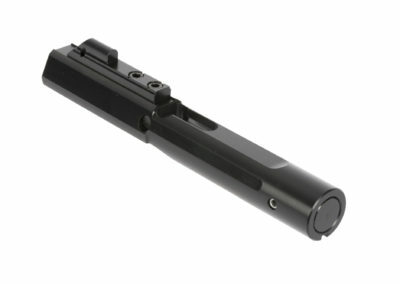 This Premium 9mm Bolt Carrier Assembly is compatible with all 9MM Pistol Caliber AR builds. 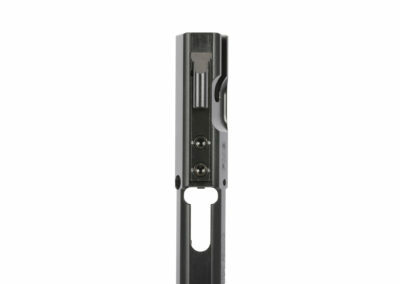 Maintaining a harder core than standard 8620 steel, this carrier is machined from Premium 4340 Steel. 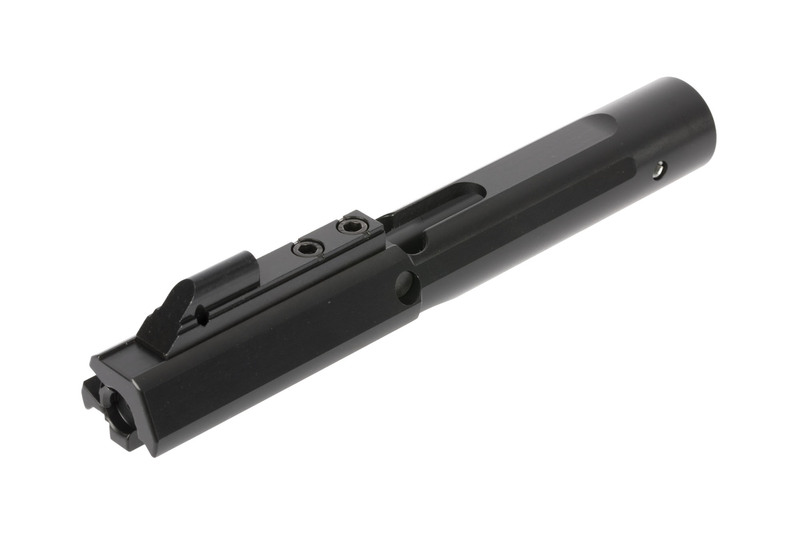 The outside diameter is precision ground prior to machining in a pre-hardened state for improved tolerances post machining and coating. A long duration salt bath nitride finish is applied for a long service life and superior corrosion resistance.